Today’s recipe is quick, easy and great for kids young and old. 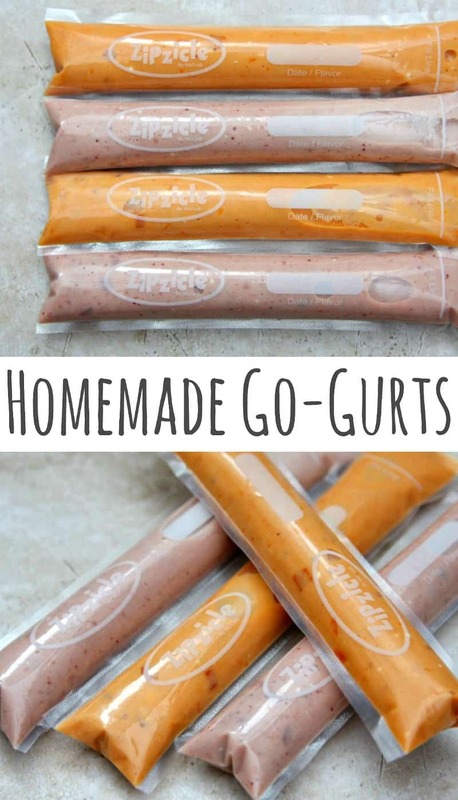 Make Homemade Go-Gurts with 2 ingredients thanks to Gerber Lil’ Bits. My friend had a whole bunch of these cute, little zip-top bags that she shared with me and together we made Homemade Go-Gurts for our cute little babes. All you need are two ingredients – Gerber Lil’ Bits and Whole Milk Vanilla Greek Yogurt. I think these pouches are made for freezer pops but Easton does not like to eat anything that is frozen. Each batch makes 3 Go-Gurts which is perfect because they last about 3 days in the refrigerator. Not only does Easton love these fun Go-Gurts but I’ve also been putting them in Connor’s lunchbox and he likes them too. Can I just say how much Easton loves Gerber Lil’ Bits! It’s the perfect solution to meal time as he transitions from baby food to solid food. He just turned one and he’s finally starting to eat more solid foods to thanks to Lil’ Bits. I started giving him Lil’ Bits when he was around 9 months. He was not interested in eating solid food until I started giving him this. And, as he gets better at eating what we’re eating, I can always rely on him to finish a container of Gerber Lil’ Bits. Plus, it’s the best way to make sure he gets lots of fruit and veggies in his diet. 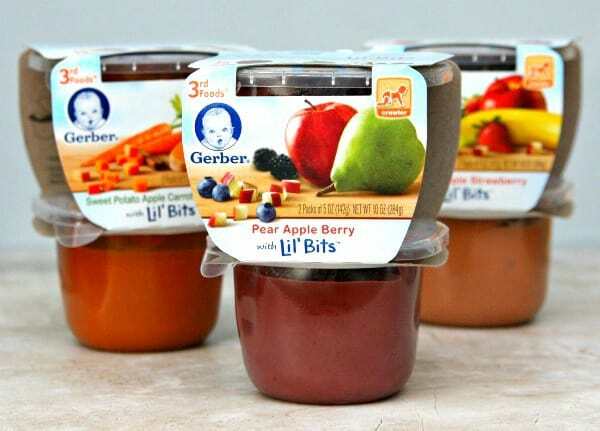 Gerber Lil’ Bits are specifically designed for crawlers 8 -12 months, and are a nutritious option to assist in introducing your baby to new tastes, textures and combinations. Each Lil’ Bits™ recipe is made with perfectly sized soft pieces of fruits or veggies to help your baby learn and master chewing. Gerber 3rd Foods Lil’ Bits Ingredients are carefully selected to meet the high quality standards of GERBER®. With no added starch, artificial colors or flavors Lil’ Bits is the perfect option for your baby. 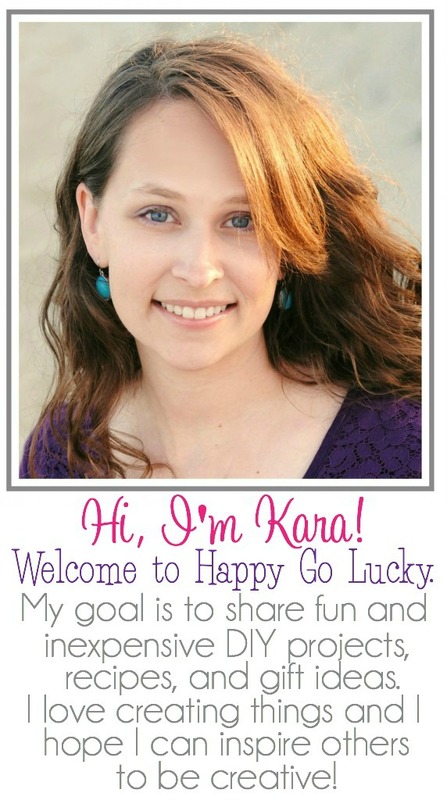 Check out all their delicious flavors the next time you’re shopping at Walmart, Target, Babies R’ Us or Kroger. You can also order them from Amazon. Yum! 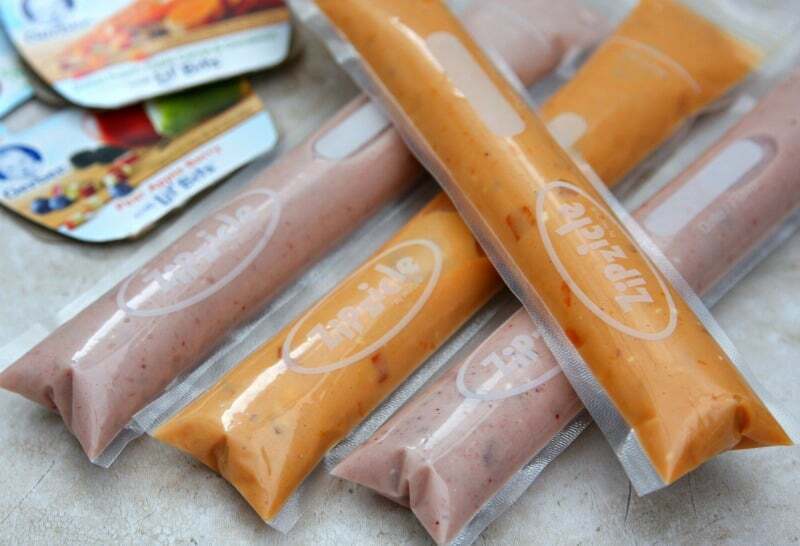 Time to stock up on Gerber Lil’ Bits and make Homemade Go-Gurts. Mix baby food and Greek yogurt in bowl. Add mixture to zip-top pouches using a funnel. And don’t throw away those baby food containers. They make the perfect snack cups! I fill them with snacks and throw them in Connor’s lunch. I also throw them in my purse for when we are running errands. 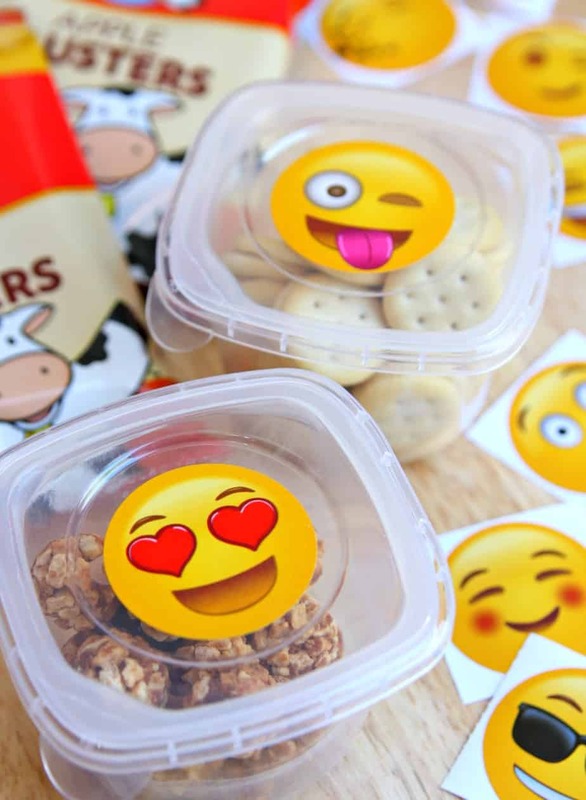 Here I added emoji stickers to the containers for Connor’s lunch. Fun emoji snack cups are the cutest thing ever!